Whatever holidays your family celebrates, I suspect ritual is involved. My family loves Christmas. I think that, more than any other season, this is one whose “rules of engagement” follow clearly defined and strict expectations. Some folks bring out lights and trim their trees the day after Thanksgiving. Not the Glass household. For us, The Date to begin the rituals is December 1st and not a moment earlier. December 1st marks the day when the Spode Christmas china is exchanged for the normal Fiesta Ware. It’s the day when I allow holiday music — and not a moment sooner. For us, the harbingers of Christmas include John Denver and the Muppets, The Williams Brothers (Andy Williams), Barbra Streisand, Frank Sinatra, Mannheim Steamroller, Linda Boyd and John Fahey (guitarists). In recent years, I’ve added Homefree and Pentatonix to the collection of approximately 50 Christmas albums. We all know every word, every chord, every inflection to every song. I’m sure you have your own favorite music. The kind that speaks to your soul and evokes clear memories of people and times and gifts of the spirit. Last February, my husband and I bought a house in Incline Village, having decided this is where we want to spend the rest of our days. One of the big questions when looking at possible abodes, of course, was whether or not the space would “work” for Christmas. Houses change over the years; Christmas decorations do not, other than the collection does have a way of increasing. Last Saturday, December 3rd, proved the big test. I’m happy to report that the “new” house passed with flying colours. Though we have downsized considerably, this home comes equipped with sufficient nooks and crannies and window sills to allow display of relics collected over 48 years. I found just the spot for the crèche we purchased in Denver in 1976, the ceramic “Billy House,” a gift from a 6th grade student in 1982, the wooden rocking horse, the Indian wiseman from my brother, the (slightly bizarre) singing cactus cowboy “snowman” from my sister-in-law. Those and so many other precious things have found their new niches, bringing to mind memories of other homes, other niches. Our tree is always the last to make an entrance, as it were. Sometimes we wait until mid-month for the tree. This year, I wanted to confirm the proper spot, and it is now in place. Perhaps the last Christmas ritual, one of the most important, involves a pink, blown glass pig, given to me in 1976 by a kindergarten student named Teddy Fonseca. Teddy passed away several years ago, but he joins us every Christmas in the form and joy of The Pink Pig. Close by hang a pair of one-eyed, clothes pin figures (Mary and Joseph?) fashioned by one of our daughters long, long ago. ‘Tis the season to be mindful of seasons past and the gift of others in our lives. It’s finally December. 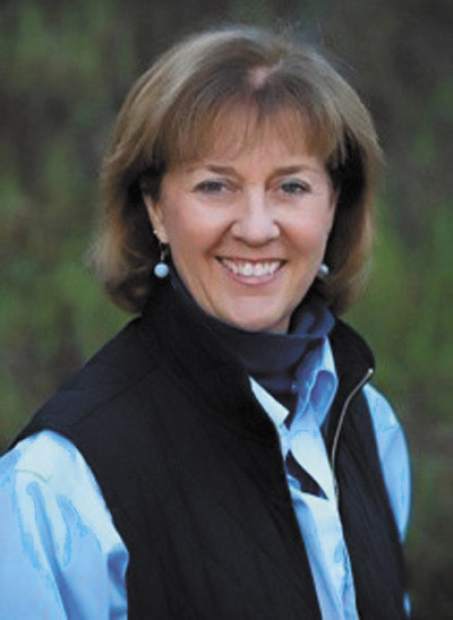 Ruth Glass is headmaster at Lake Tahoe School. She can be reached for comment through her blog at http://www.laketahoeschool.org.